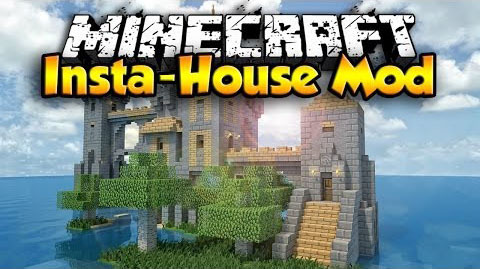 Ever had trouble designing a house in mine craft or maybe even just building? Well now you don’t have to worry, with Insta House. This mod adds a variety of houses and other structures at your disposal with the click of a mouse. Simply craft your structure block, place it on the ground, and right click and out pops your new house or structure. You can choose between a variety of styles and functions, as well as new structures always being added. The iron you use to craft it goes into a set of iron tools, found in the bedroom chest, and the rest is there in ingots. The Sign, Saddle, AND Hay Bale will all be contained in the two chests in front of the stable. Dungeons are complete with traps, mobs, and randomized loot, including things like saddles, or even diamonds!